Today is the last day to file your 2018 taxes. 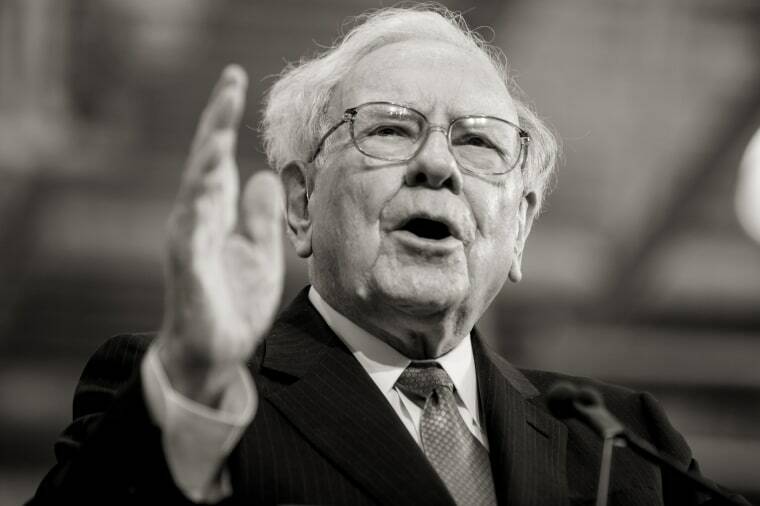 Here's why millionaires and billionaires like Warren Buffet often pay less than the middle class. It’s tax day in America — the day when millions of people across the country finally stop procrastinating and find out how much money the federal government owes them. Or worse, how much they owe the federal government. This year’s deadline has been met with a great deal of anxiety due to President Donald Trump’s tax cuts, which have decreased the average refund for filers. Indeed, according to the IRS, tax refunds are down $6 billion compared to 2018. Adding insult to injury is the fact that the people who benefitted the most from Trump’s Tax Cuts and Jobs Act of 2017 are the people who don’t need an extra boost. While enraging, this outcome is really just part of a broader truth: The top 0.1 percent of Americans own almost as much as the bottom 90 percent combined, and the gap between these groups is widening with each passing day. Virtually all of the benefits of our growing economy have gone to those at the top, while most American families have experienced stagnating wages and rising costs of living. Adding insult to injury is the fact that the people who benefitted the most from Trump’s Tax Cuts and Jobs Act of 2017 are the people who don’t need an extra boost. The rich continue to get richer, but for most Americans, things aren’t any better than they were 30 years ago. These levels of inequality are dangerous and destabilizing — it’s no coincidence that the last time wealth in America was so concentrated was immediately before the Great Depression. Luckily, there’s a simple solution, one that the overwhelming majority of Americans already support. To be clear, all we propose is make sure that the wealthiest in our country pay their fair share — which does not happen now and is one of the primary reasons why wealth inequality has continued to deepen. Think of the tax code as a fundamental building block of our economy, one of the few that the federal government has direct control over. By raising taxes on the wealthiest Americans (including on one of the authors of this op-ed) we can start to reverse decades of growing inequality and reshape our economy into one that works for everyone, not just a wealthy few. The balance of our current economy isn’t an accident — it’s the deliberate result of decades of tax policies that have designed a system that rewards those who already have money over those who are earning it. When it comes to addressing inequality, there is no single tool at our disposal more powerful than Congress’ constitutional mandate on taxes. And it’s time Democrats in Congress especially started giving the tax fight the attention it deserves. Our opponents, the oligarchs and lawmakers who have a vested interest in keeping power and wealth in the hands of a few elites, have focused their efforts on using the tax code as a primary tool for achieving those goals. And they’ve been winning — for decades. Unless we take control of this powerful tool of the tax code, we simply won’t be able to address the devastating effects of unparalleled income and wealth inequality. The point of raising taxes on the rich is not just to raise revenue, it is to fix the underlying broken system that perpetuates inequality — no matter how much revenue you might spend. Revenue issues aside, it is demonstrably, empirically bad for our country for so much wealth to be concentrated in the hands of so few. Addressing inequality in and of itself is an admirable goal that we should make central to our fight. Make no mistake: This is no easy task. There are many incredibly wealthy individuals and groups willing to spend millions to protect their preferential tax rates, and it should come as no surprise that where there’s wealth in America, there’s political influence. Despite a bipartisan majority of Americans supporting raising taxes on the wealthy, many members of Congress, including some on the left, are resistant to calls to tax the rich because they’re worried about angering their donors. At the same time, even some of those with wealth are beginning to understand that our country cannot sustain these levels of inequality. It is simply bad for America. That’s what led to the creation of Patriotic Millionaires and it’s also why people like Warren Buffet have spoken out in favor of raising taxes. In 2013, Buffet noted that he was probably “the lowest paying taxpayer in the office." There’s tremendous grassroots energy behind making our tax code more progressive, but the push for a fairer tax code cannot come from the grassroots alone. In a system that unfortunately rewards access over popular support, those with the most power in Washington — members of Congress and their wealthy donors — must step up and take responsibility for changing the system that their counterparts have built. That’s why the two of us, the co-chair of the House Progressive Caucus and the chair of the Patriotic Millionaires, are writing this piece together. Our colleagues must recognize the role they have to play in righting these systemic wrongs. The status quo works wonderfully for millionaires and members of Congress, but it’s choking the life out of the rest of the country. We are ready to push, and to push hard. Unless we take bold action, the rising tide of inequality is going to drown us all. Rep. Pramila Jayapal is the U.S. Representative from Washington's 7th congressional district. She is the first Indian American woman elected to the House.